As I'm away on holiday at the moment I asked Kat from Mum for Fun if she'd like to do a guest post for me. Kat and I first started chatting just before BritMums Live, she was trying to convince me to go. Unfortunately I was unable to attend but we've stayed in touch and I was delighted when she agreed to write this guest post for me. Go for it Kat! I was recently lucky enough to be able to visit BritMums Live, and the question I am always asked is how I juggle blogging, being a parent and working full-time. The answer: with great difficulty! I always love to read about what my blogging friends get up to day-to-day, so here is a little insight into the world of a full-time working mother, who also tries to blog! Before I start, I have to say that being a parent is hard work, amazingly and astoundingly rewarding, but seriously hard, therefore I make absolutely no judgement on how people make a living. If they are stay-at-home parents, work part-time, full-time, full-time pro-bloggers, it is all tremendous, and if all you do on a single day is keep your child alive, well that is the bare minimum really so congratulations! This is my way and I work full-time because my family need me to. I have done a guest post before for the lovely What Katy Said about my daily routine, but this time I thought I would focus more on my blogging life and how I fit that in with being a full-time working mother. 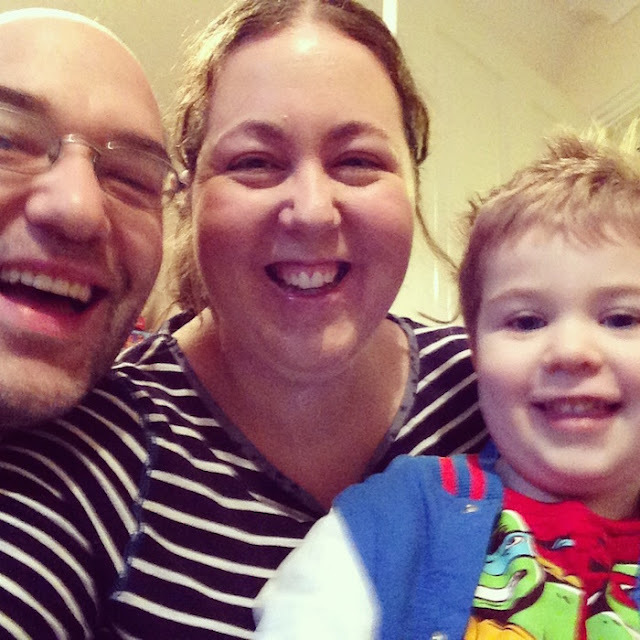 I'm sure there are loads of bloggers out there that do a full-time job out of the house, and I have been lucky enough to chat to a few of them such as Susan K Mann, MummaScribbles and MamaVsTeacher. On the way to work (7:45am) I check Twitter, start with my list of favourite bloggers, read what they have written and re-tweet, favourite or respond as appropriate. Then move onto the main twitter feed and read any blog posts that jump out at me, usually based on the blog title or the picture. Check my emails, do a happy dance if I am contacted by a brand/PR or fellow blogger. I also check my Facebook blogger support group, this is new to my routine and was set up with the lovely ladies I met at BritMums Live. I work 8:30am - 4:30pm at a University and have a very busy and sometimes stressful job working for the second in command (writing speeches, briefings, running projects etc), which sometimes overflows and I have to take work home. If it is a good day I may get a chance to check Twitter again (briefly) during my lunch break, but lunch is really my chance to either meet up with a friend and go for a walk around our lovely grounds, or listen to an audiobook whilst walking. I absolutely love to read and audiobooks are the easiest way to fit reading into a hectic life! I am also a stickler for getting at least 30 minutes of exercise and fresh air every day, and I'm always striving to get my 10,000 steps per day, which is actually very tricky when you sit down all day at work. After work hubby and I pick up the little man from Nursery (he is 3.5 years old), go home, and cook dinner, play, watch, talk and then the bedtime routine starts around 6:45 / 7:00pm. He is usually settled into bed by 7:30pm. Some nights there is household related stuff to do or it is date night with my lovely husband. I would say I probably get to blog about 4 nights a week but for only 1.5 - 2 hours, then I'm up to bed, a bit of Twitter and then relax and go to sleep by about 10:30pm. Weekends are very much family time which varies a lot, some days we meet up with family or friends, go to see a movie, sometimes we stay at home and do low-key activities such as colouring, jigsaw puzzles, football in the garden, go for a walk etc. Sometimes we go out for a big day out, which you will see a proliferation of on my blog. 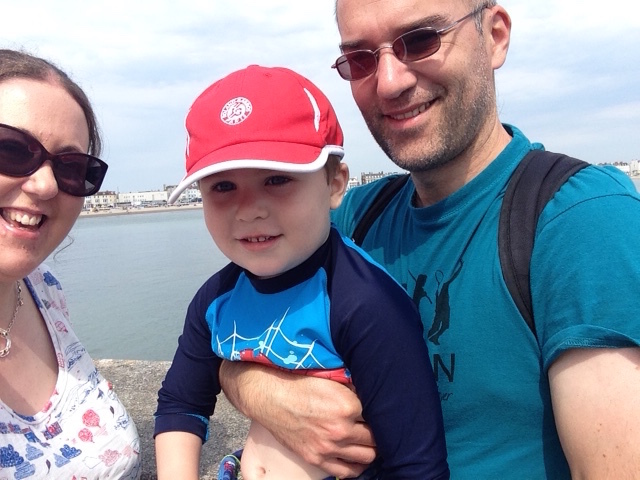 I love to take Nate somewhere new as it is a fabulous way to teach him about the world, improves his vocabulary and he is always super excited, that is of course why my blog is called Mum for Fun. Sometimes at the weekend I may get an hour here or there, but mostly it is just my evenings that I get to blog and interact with my blogging friends. Why do I blog, when I have such a busy life, a full-time job and a family to keep me plenty busy? I blog because I love to write (I have kept a diary since I was 11 years old and this is just an extension of that), because it is a wonderful cathartic release, because I have "met" some wonderful people and because it has become an obsessive passion and I am finding the longer I do it, the more I want to achieve. I always want my stats to be better, to write more posts, to have more followers, to take better pictures and to work with more brands. But I have to remember that the Mummy blogging community is so lovely that I am really only in competition with myself. Thanks you so much for that Kat, it is really interesting to read how busy someone's life can be when they work full-time. You can catch Kat over on Twitter, Instagram, Pinterest, and Google+ and please give her a follow on Bloglovin'. It's always interesting to read how others fit blogging into their hectic lives! Thanks for visiting John. It is interesting to read how it is for working parents isn't it?